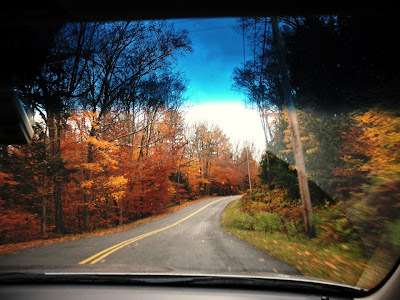 Fall drive through the Adirondack Mountains! Hello friends! I know it has been a while since I last posted and I am so sorry! I am really going to try and make an effort to blog more often as there is something calming about being able to share my experiences with all of you! I took this picture a few weeks ago -- I took a weekend trip to the Adirondacks with a couple of friends -- we had a blast! I thought this picture was awesome because the colors are so amazing -- there is something so awesome about fall in Upstate New York -- watching the leaves change colors is definitely one of mu favorite things about this time of year! Unfortunately the leaves have all pretty much fallen off by now, so I just like to look at this picture and think of how beautiful all the trees were just a few weeks back! 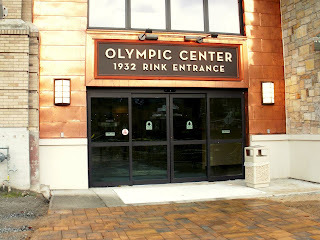 We stayed in Lake Placid for the weekend and it was awesome! I have been there a couple of times before but it is such an awesome town that I always get excited to visit there no matter how many times I have been before. I think it's nice to have a few spots like that -- spots that are dependable on making you feel happy and good no matter how many times you have visited them. Do any of you have places that make you feel that way? Where are they? I didn't do much for actual "working out" in any sort of way, but we did do a LOT of walking around the town, which I felt was a pretty good form of exercise! 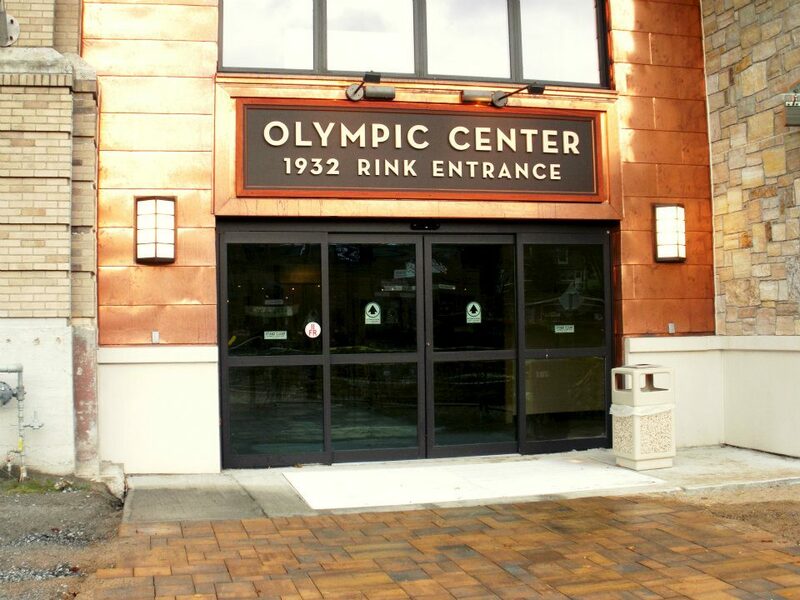 Here's a picture of the outside of the Olympic Skating Rink from the 1932 Olympics! Now that it's November I suppose it's time to start really getting myself motivated to work out more than not. Anyone else out there find themselves struggling this time of year to stay with a workout regimen? I don't know if it's because the weather is cold and it makes me want to stay all snuggled up warm inside, or if it's all the amazing food that is being served during the holidays...I think it's probably a mixture of both! What kinds of things do any of you do to help keep yourselves on track during the holiday season?